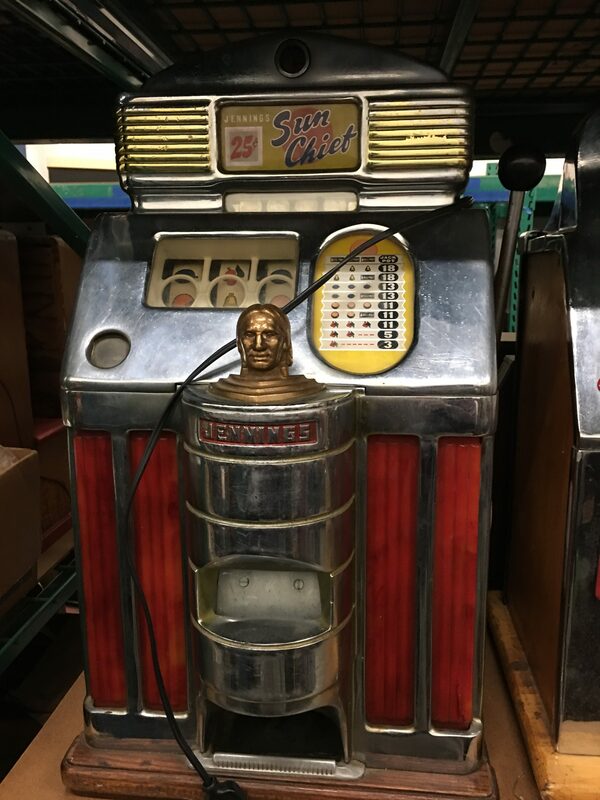 Antique 25 cent slot machine in fine condition. The chrome is in excellent condition for the machine’s age and the cabinet shows up very nice. 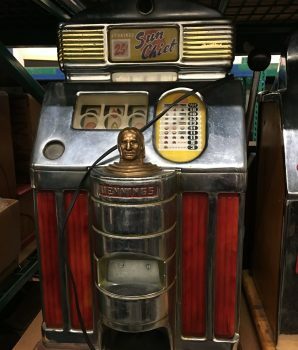 This Sun Chief’s is complimented by the jukebox red styled plastics and the bronze Indian head made this glowing dazzling machine a favorite in the Las Vegas hotels back in the days. Dimensions: 29″ x 15 ½” x 15″.